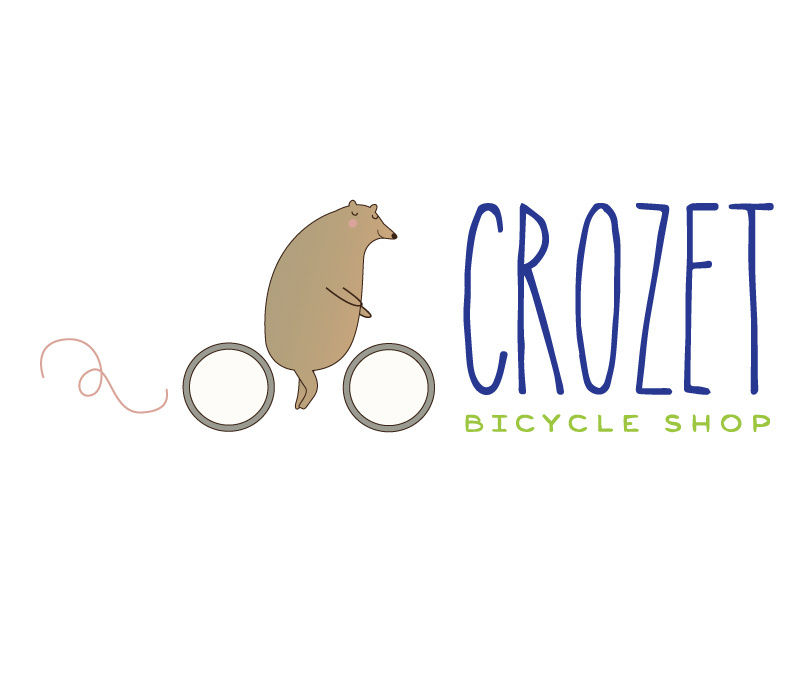 This logo design was for a lovely couple, newly arrived to the United States from the U.K. and South Africa. 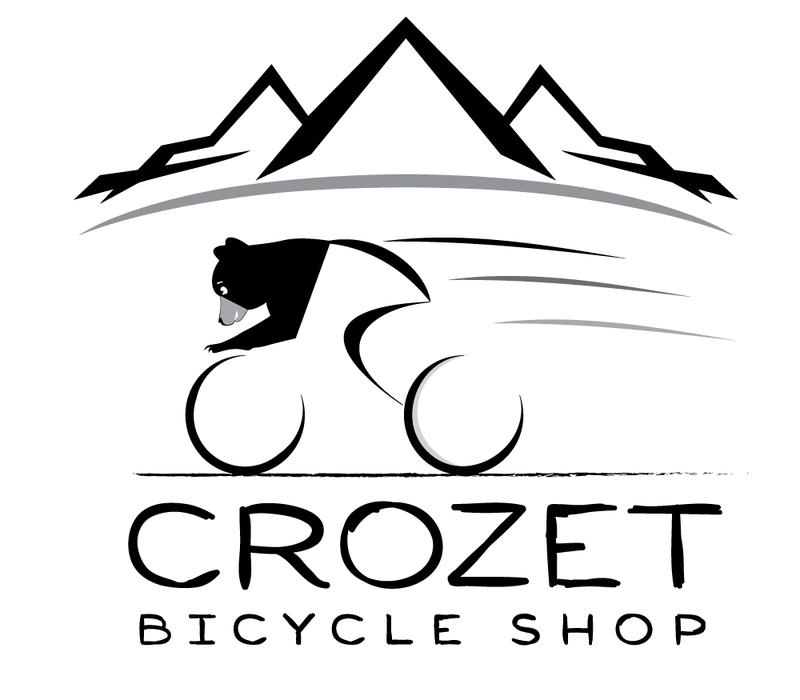 They adore bike riding and the mountains so they landed in Crozet, Virginia. 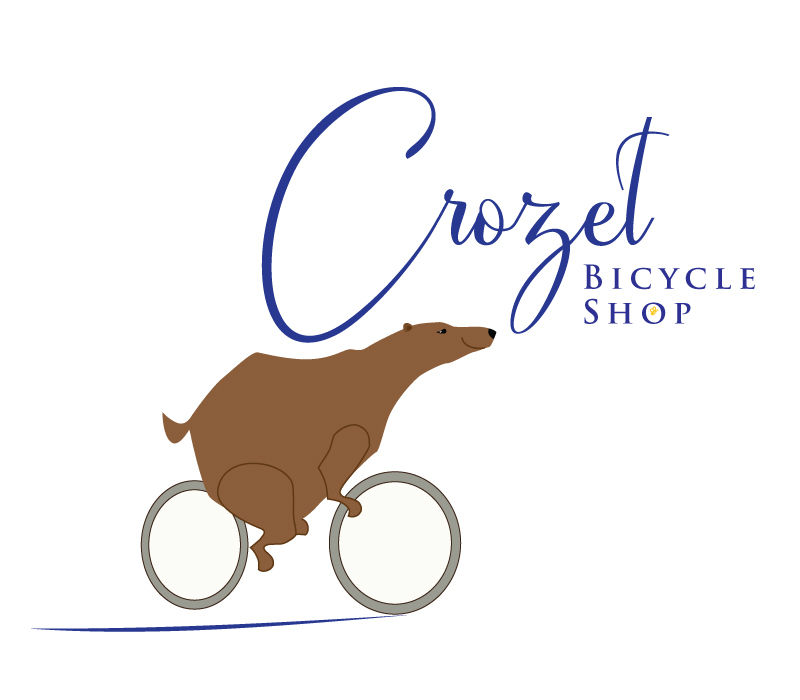 Deciding to start a bicycle shop in the area, one of the early steps was designing a logo. After some conflicting directions between the pair, (as you can see below, quite different styles in this journey :). 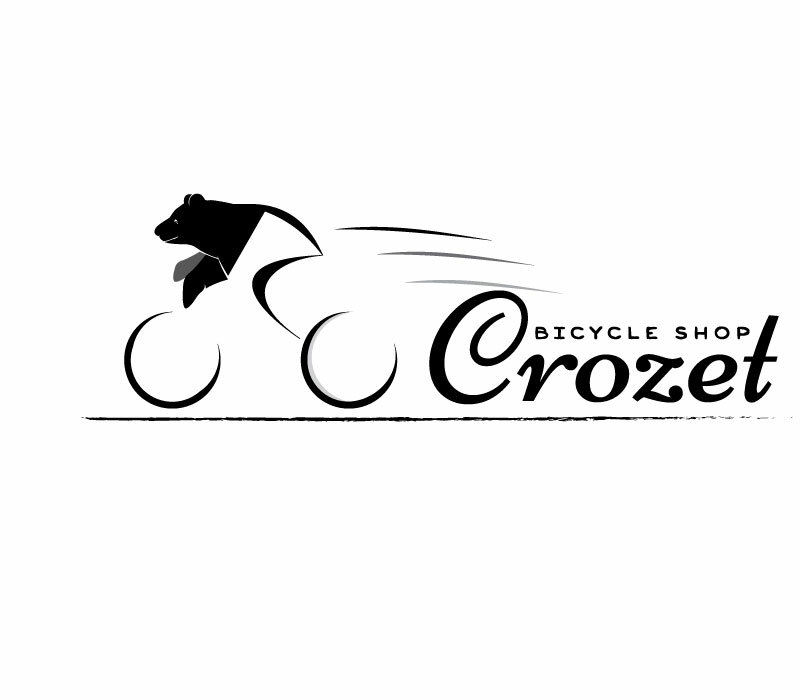 They ended with a beautiful combination of both ideas and were very happy with the final outcome. Deciding a direction as a team before you hire a professional is key. It can take a lot of ideas to get the right look but having a design firm willing to walk through the process, answer questions and someone that understands can make this process fun! 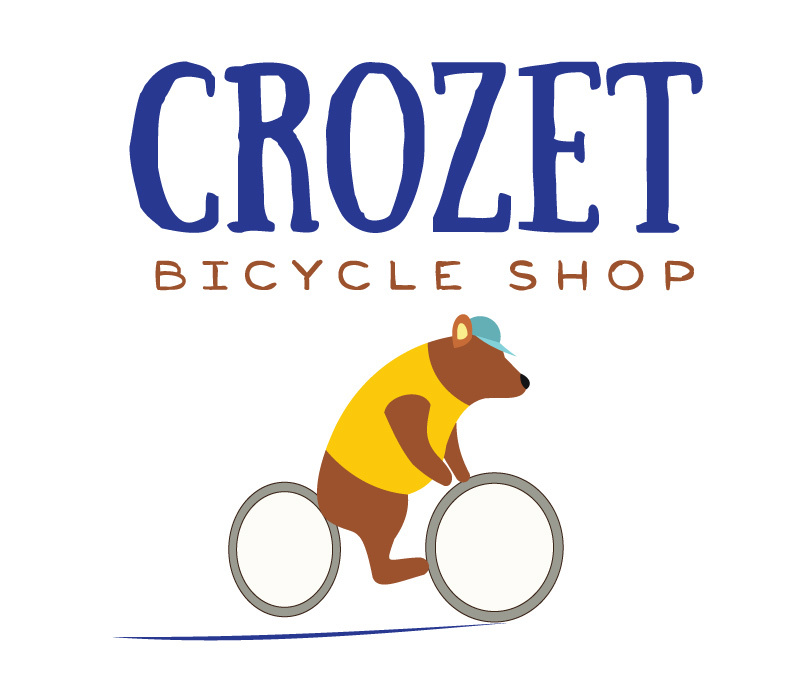 Design Directions Partner #1: Nothing cartoon-like, simple sketch design to including a bear and a bike. Simple and clean. 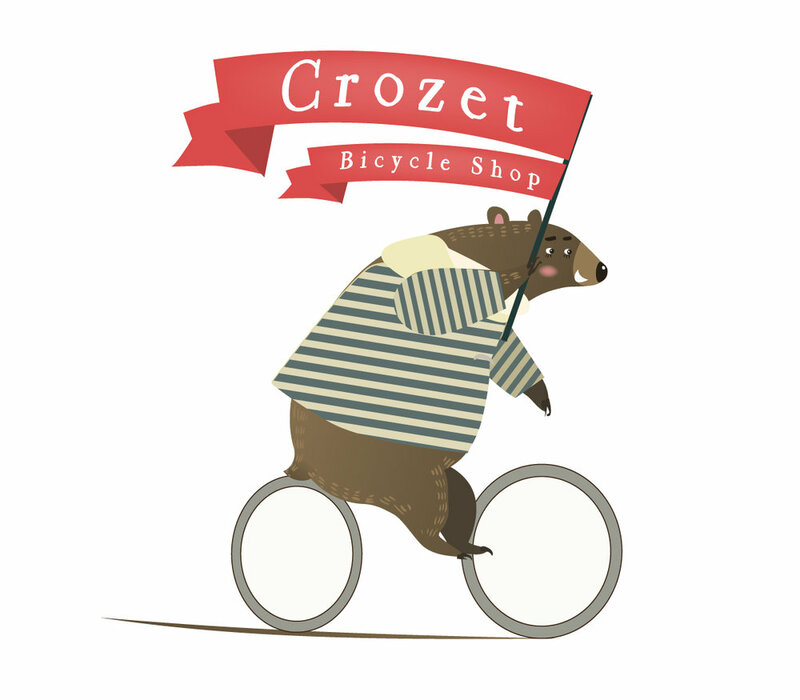 Design Directions Partner #2: Happy, cartoon style with bright colors, think circus clown bear riding a bike.